The Cincinnati exam was not designed to catch strokes that only affect the posterior circulation of the brain, because at the time, those strokes were considered poor candidates for the clot-busting drug of the day (tPA). Times have changed, and neurologists have more options now. Nowadays it’s beneficial for us to use an exam that catches all kinds of stroke. 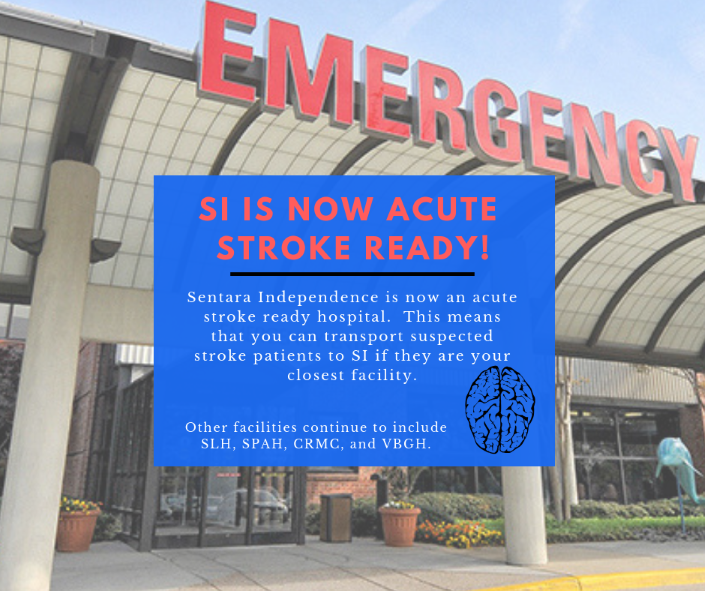 Additionally, Sentara Independence Hospital is now a certified Stroke Receiving Center. This means no matter where you are in our city, you can start heading to the closest hospital with your stroke patient. Make sure you notify them early! 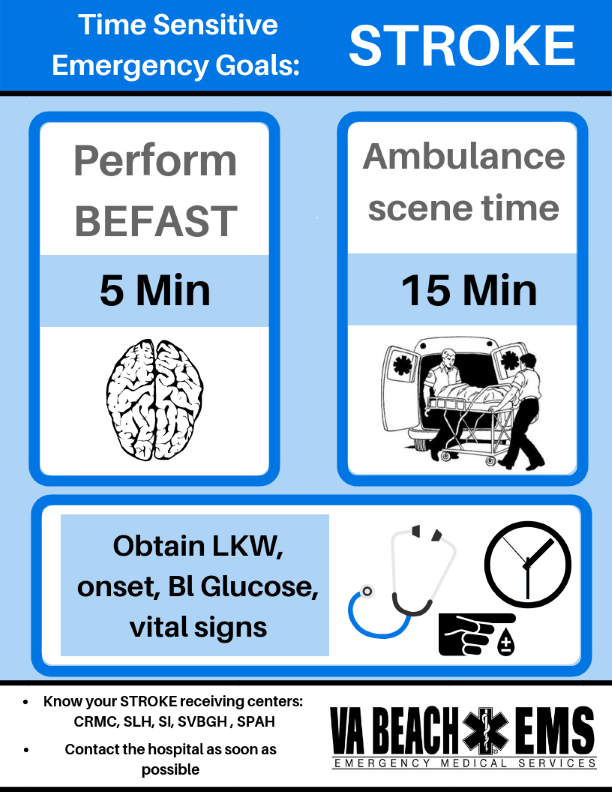 Finally, please remember our quality goals for stroke cases: Perform the BEFAST exam in the first 5 minutes; the ambulance should spend no more than 15 minutes on scene; determine the Last Known Well (LKW) time and the time of symptom onset; and get a full set of vital signs including blood glucose level. 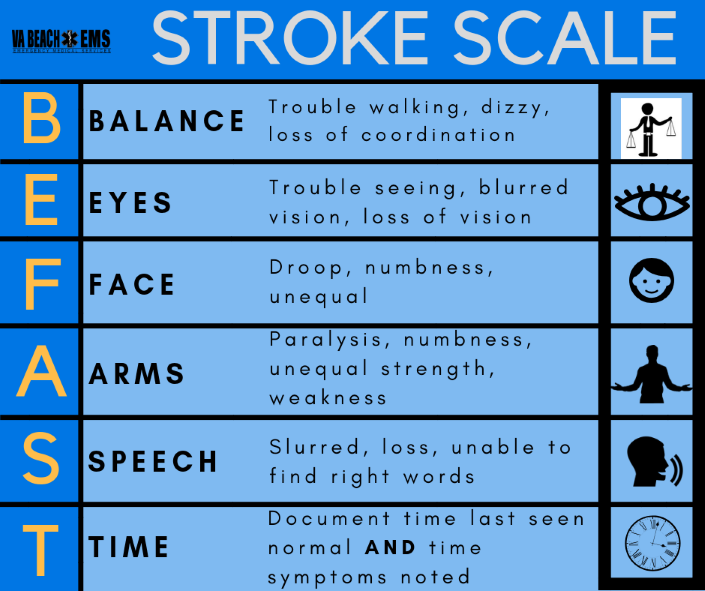 Thanks to improvements in public awareness, EMS practices, pharmacology, interventional neurology, and other branches of medicine, strokes are often far less devastating than they once were. Know our system’s goals, and be ready to use the latest examination tools and transport options! Next Article Next Article: Holidays are Stressful!